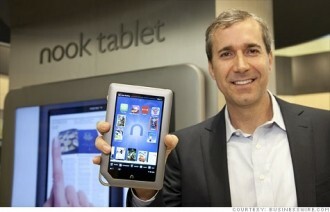 Barnes & Noble isn’t prepared to let Amazon have free roam of the tablet multimedia market with their Kindle Fire HD. The company has just announced a video streaming and download service of their own called Nook Video which will further bolster their media offering when it launches in the US this fall and a few months later in the UK. The bookseller has signed licensing deals with four major studios that will grant customers access to blockbuster movies, classic films and original television shows. HBO, Sony Pictures Home Entertainment, STARZ, Viacom, Walt Disney Studios and Warner Bros. Entertainment were all prominently mentioned in the press release although other major studio announcements are coming soon. Barnes & Noble will have a solid lineup that’s likely to please most any viewer with titles such as Disney-Pixar’s Brave and Toy Story 3, Marvel’s The Avengers, 21 Jump Street, The Artist, Breaking Bad, Dora the Explorer, The Daily Show with Jon Stewart, The Walking Dead, True Blood, Game of Thrones, Harry Potter movies, The Dark Knight and The Hangover, just to name a few. Videos that are streamed and downloaded will be stored in the Nook Cloud which means content can be access from other devices using the upcoming Nook Video apps. These apps will work seamlessly together much like their Reading apps so you’ll be able to pause a show on one device and pick up where you left off on another device. Customers will also be able to integrate their UltraViolet DVD and Blu-ray collection with Nook Video so you’ll have access to content you’ve already purchased.